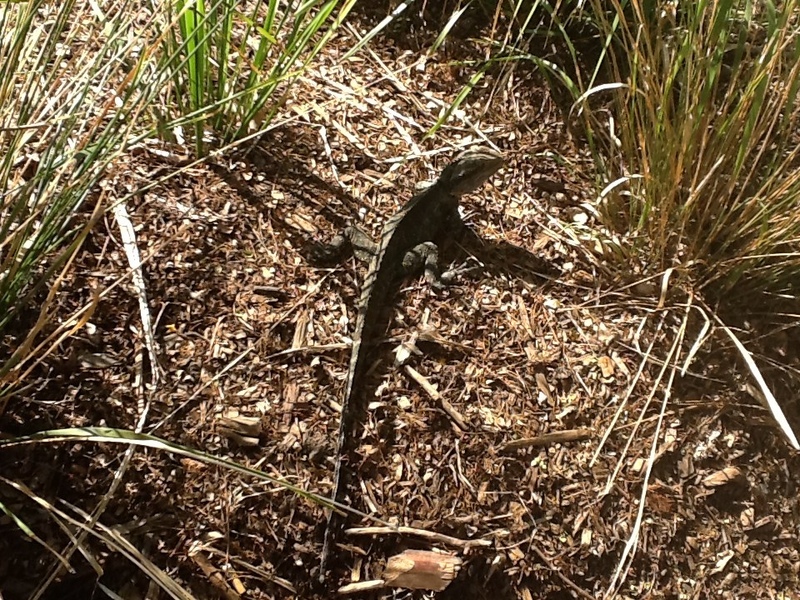 Observed two medium sized and one large water dragon on the way to work this morning. 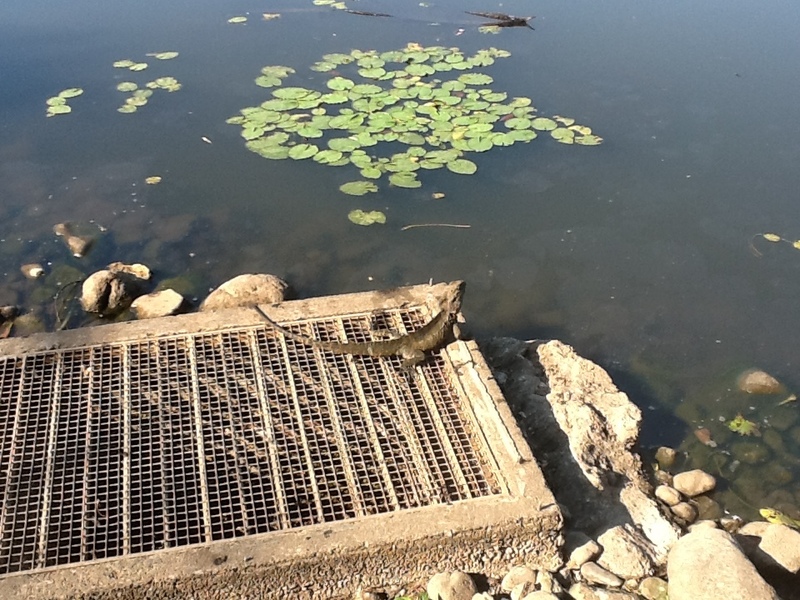 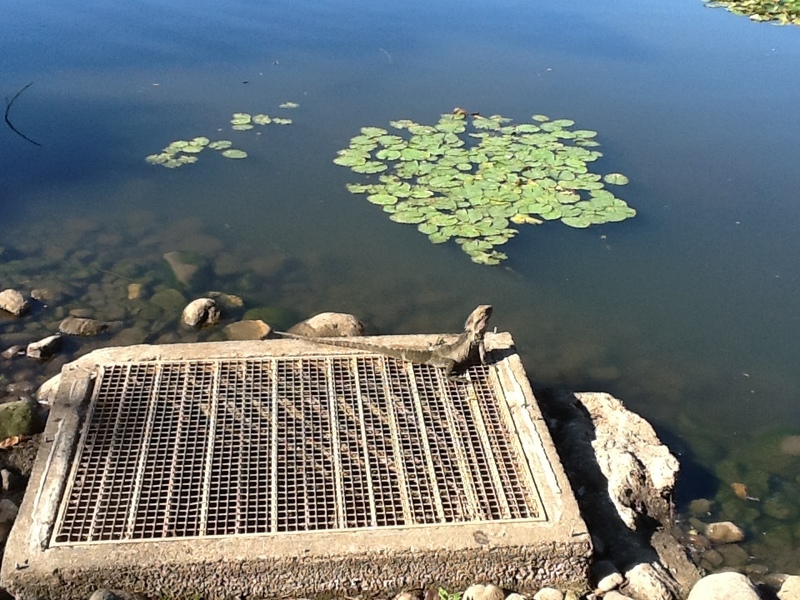 The large dragon was perched on a concrete vent/outlet as observed last week in my post entitled Water Dragon Photos – October 2012. 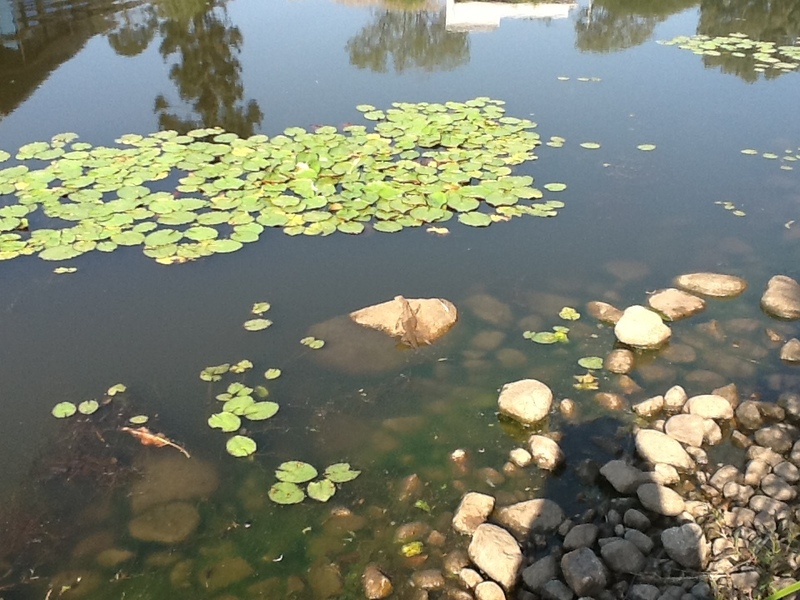 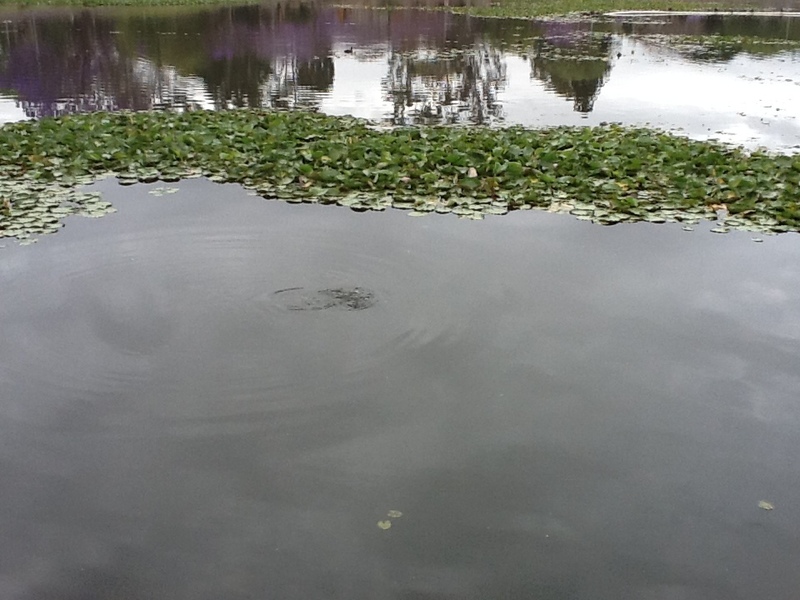 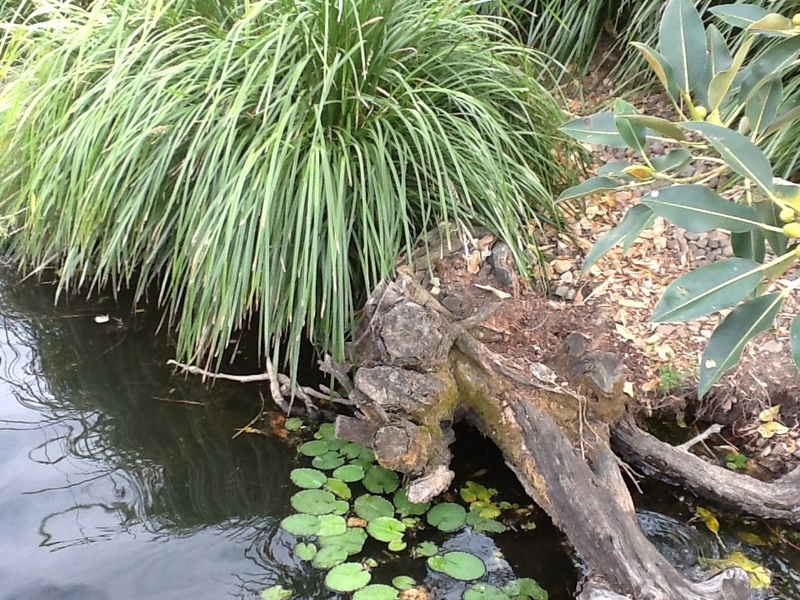 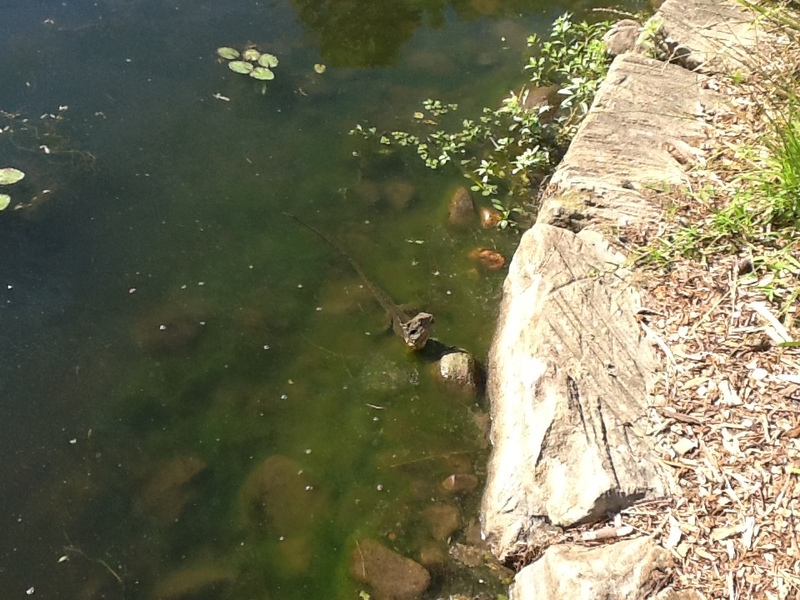 One medium sized dragon was lying on some rocks in the water and the other was perched on a semi submerged tree stump. 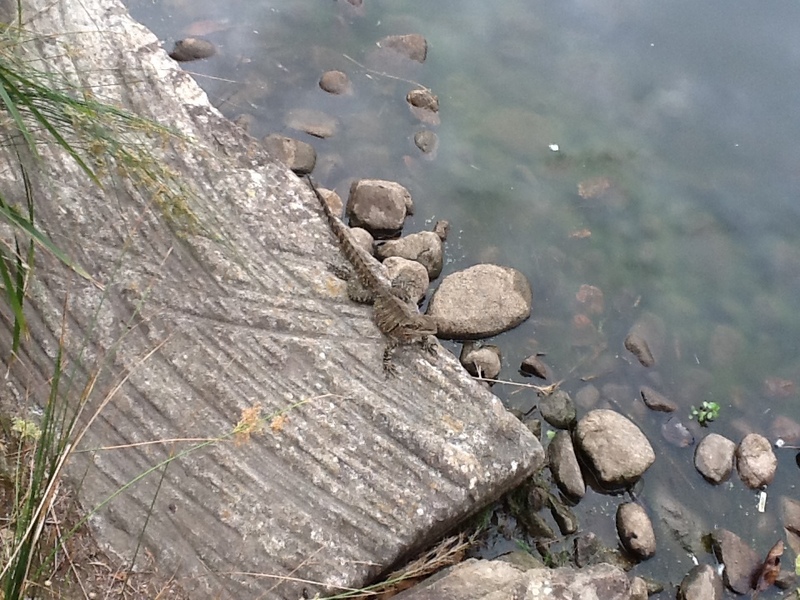 This afternoon, I also observed a medium sized dragon near the waters edge perched on its front legs. 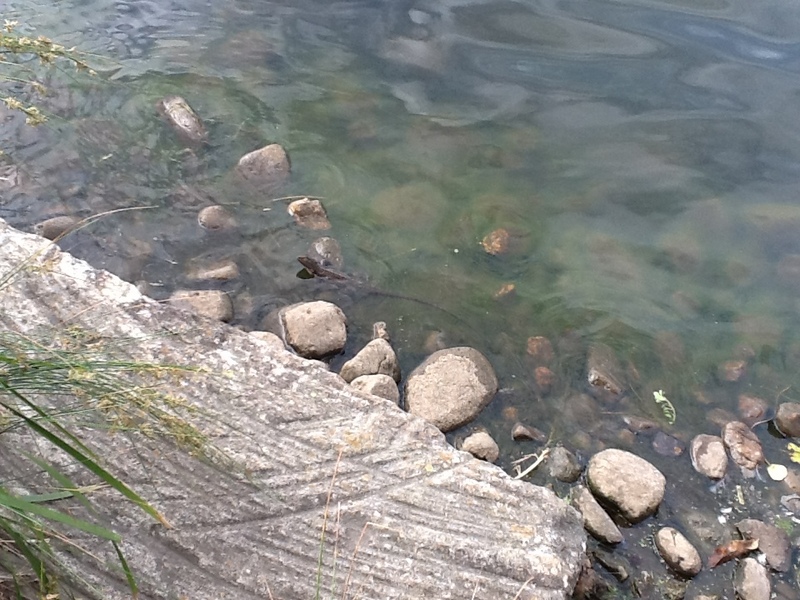 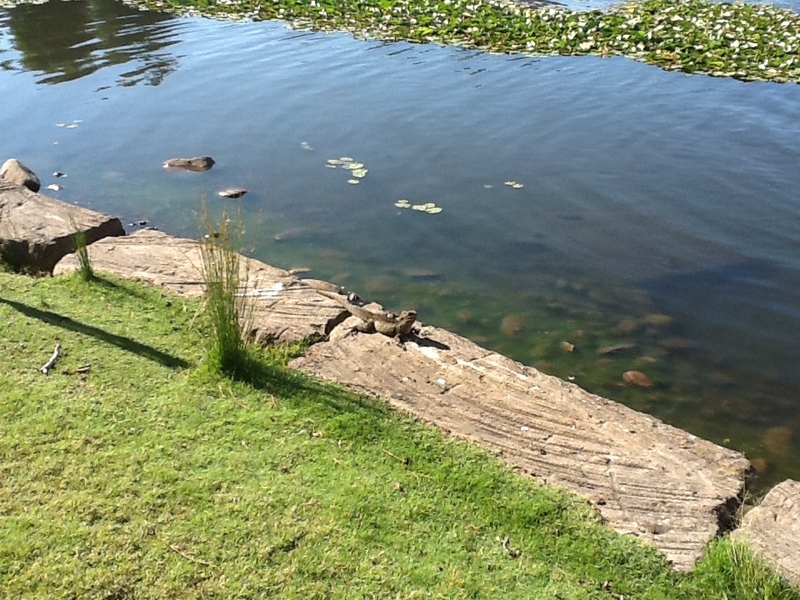 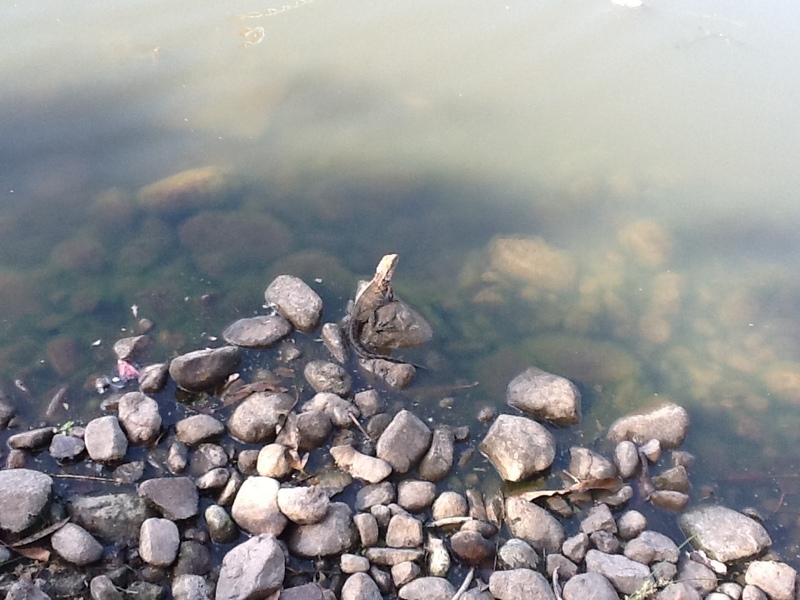 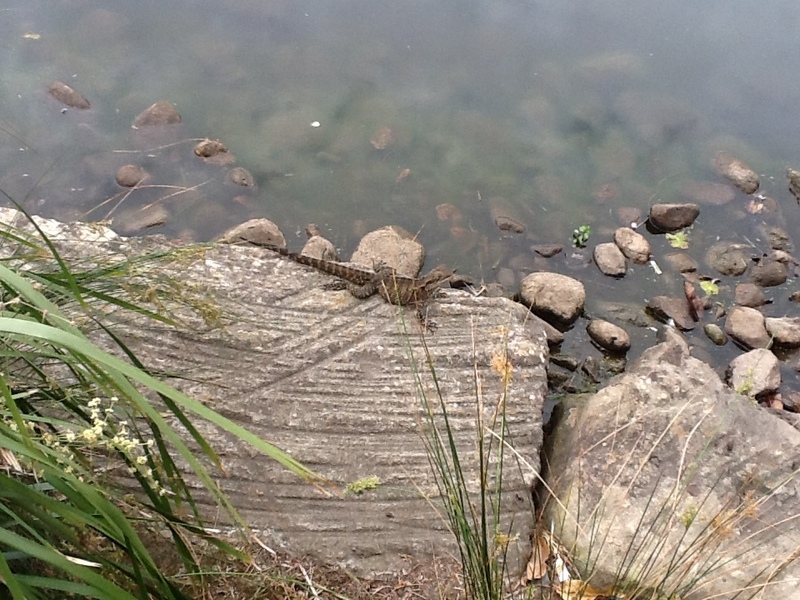 Observed a small-medium sized water dragon with distinct markings lying on a rock near the lake edge. 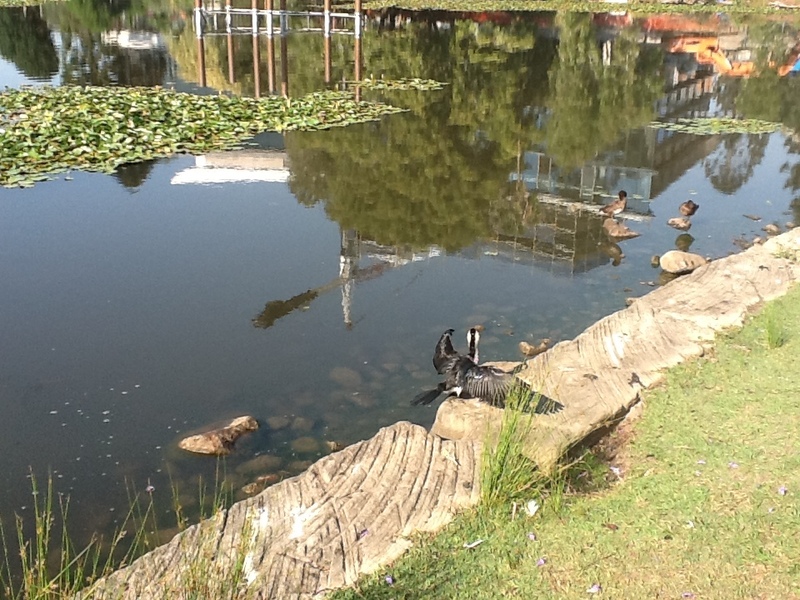 Observed two Black and White cormorants on the lake this morning. 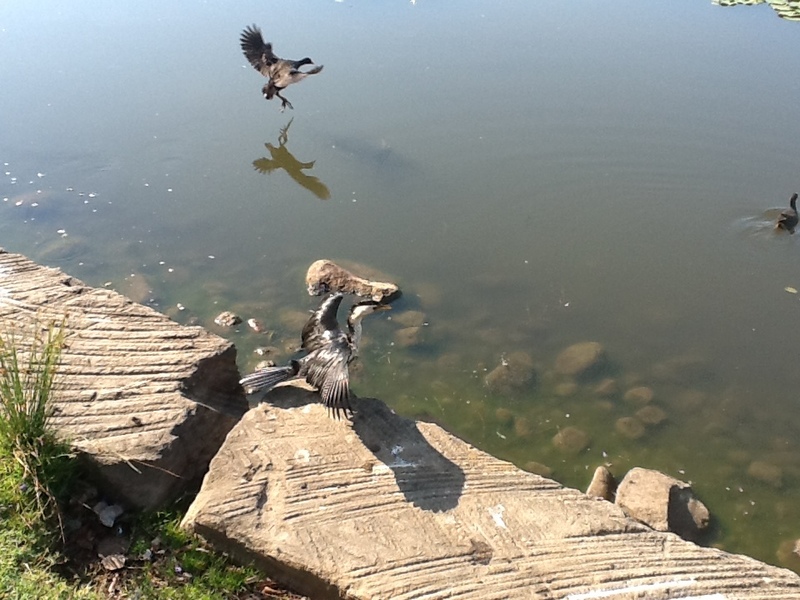 One ducking and diving in the water close to the shore, the other in on a rock or branch in the middle of the lake with its wings outspread. 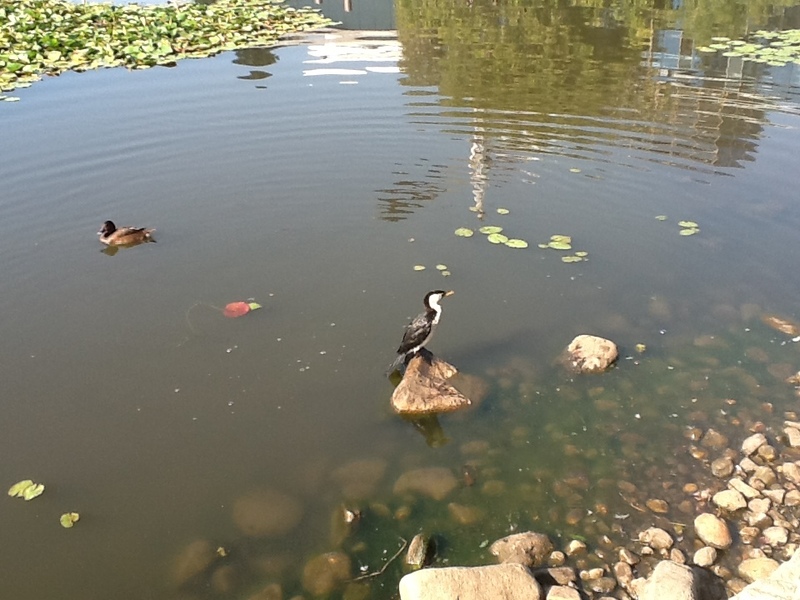 The bird close to the shore ducked and dived a number of times, then flew to perch on the rock/branch in the middle of the lake with other birds. 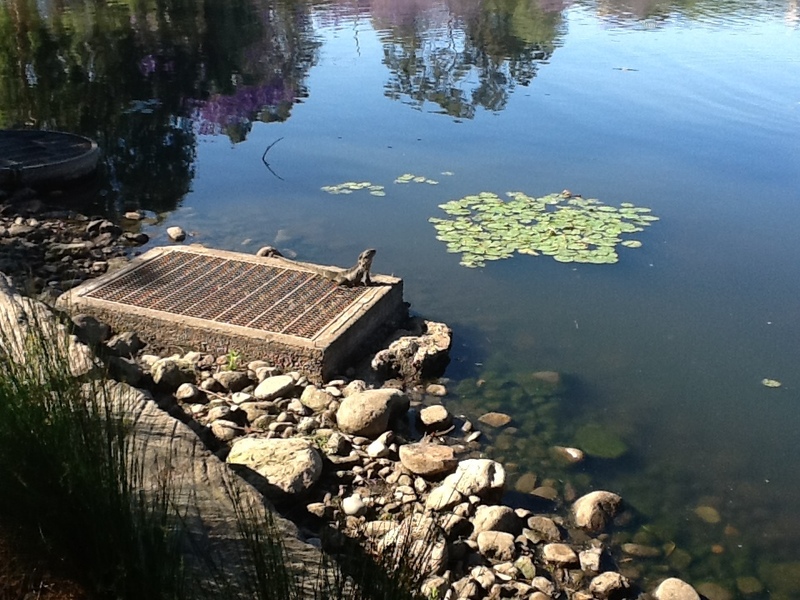 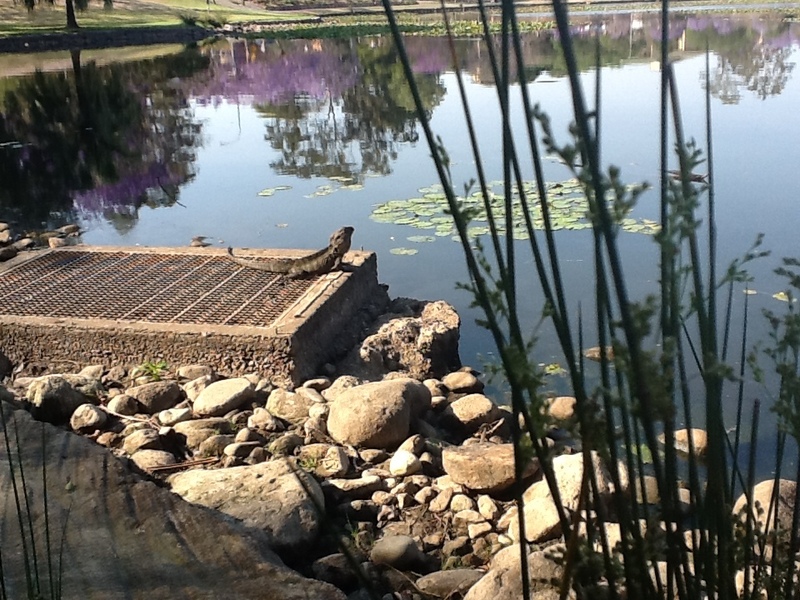 Observed a large water dragon on a concrete pipe covered with wire near the waters edge and a small to medium sized dragon on a rock in the water, it’s tail in the water. 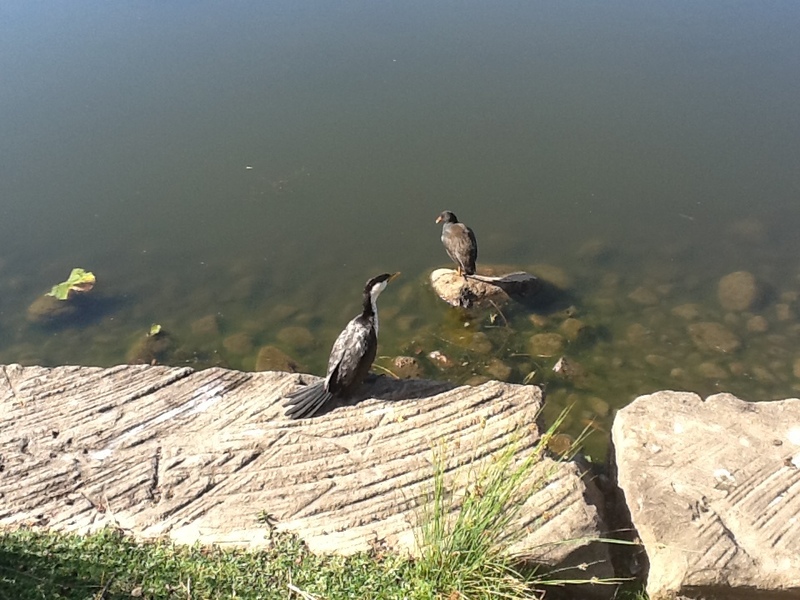 Observed three black and white cormorants on the lake this morning. 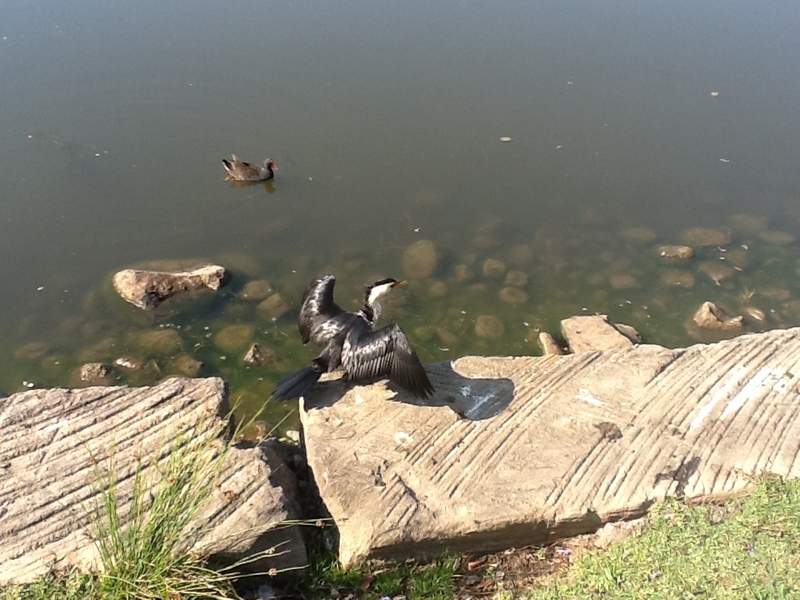 Flying above the lake waters, swimming, diving, surfacing, sitting on rocks and with their wings spread to dry in the sun. 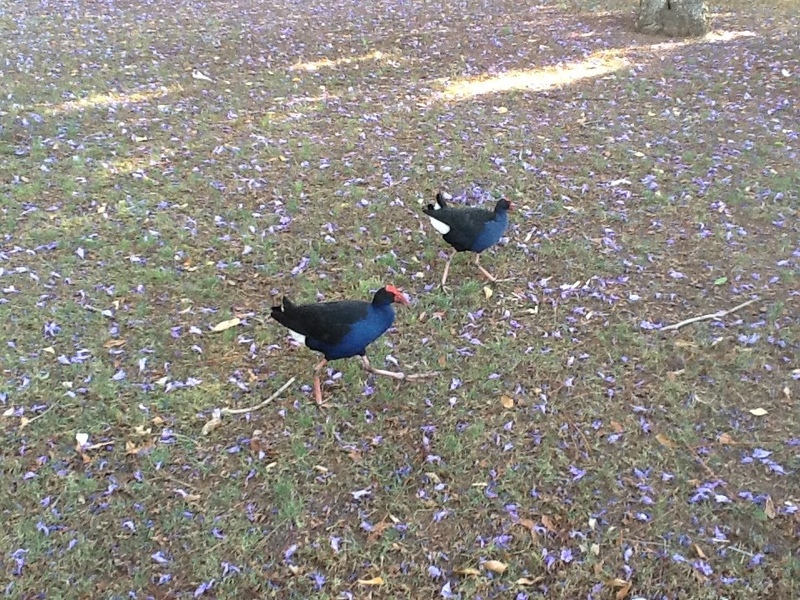 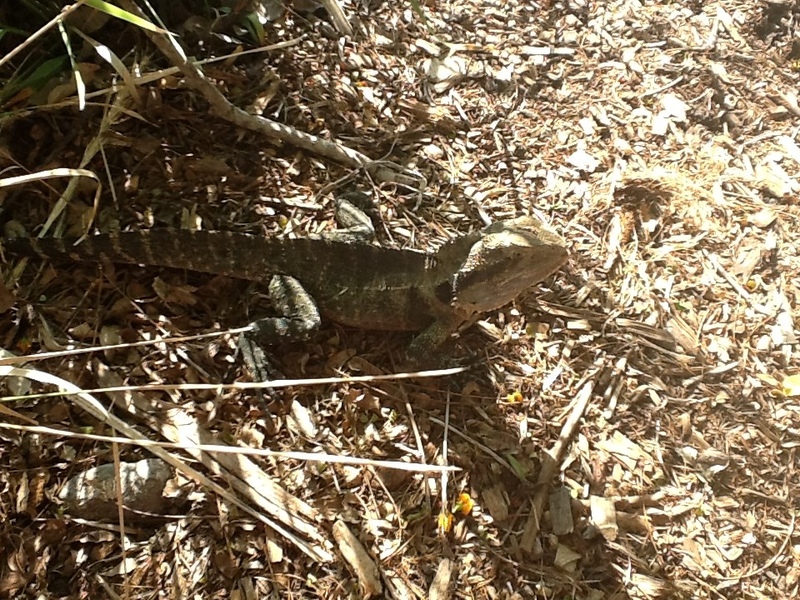 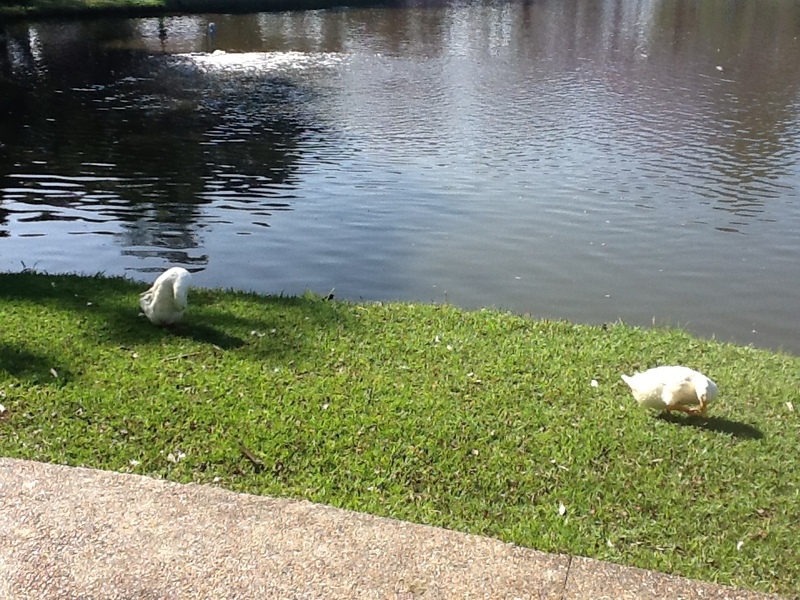 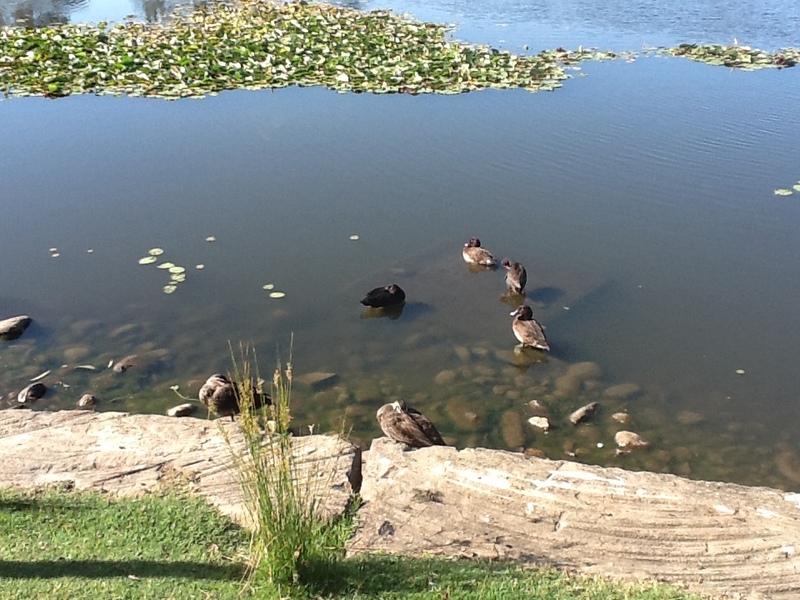 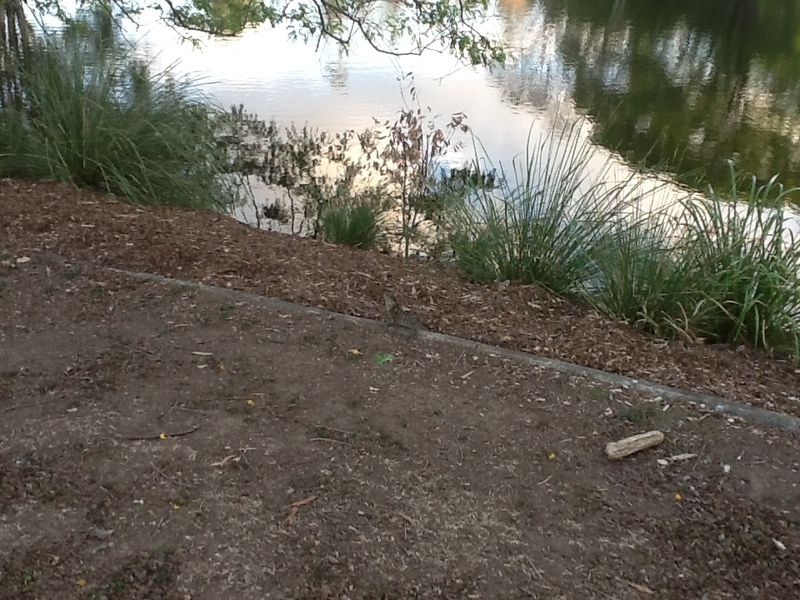 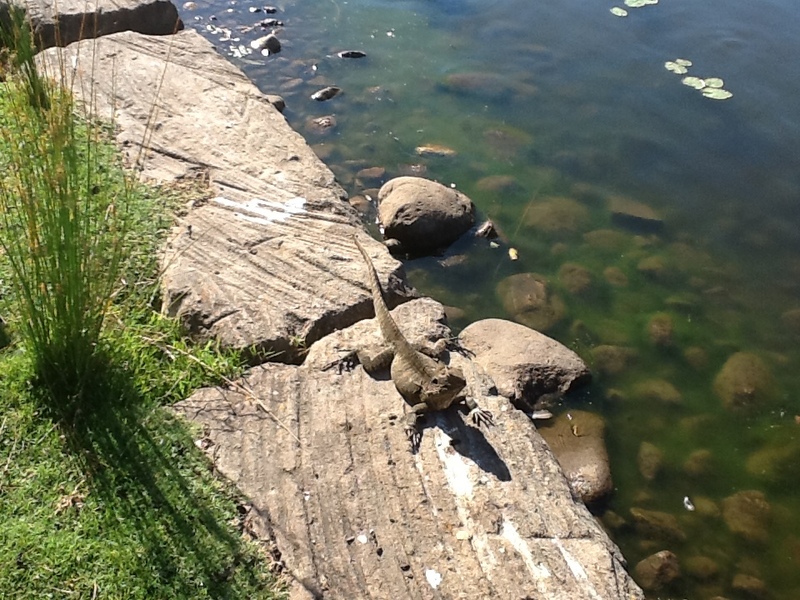 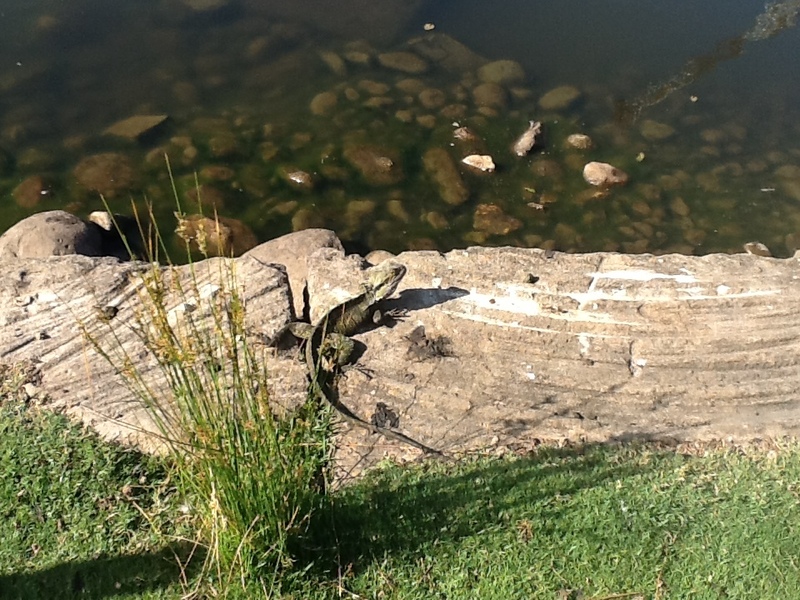 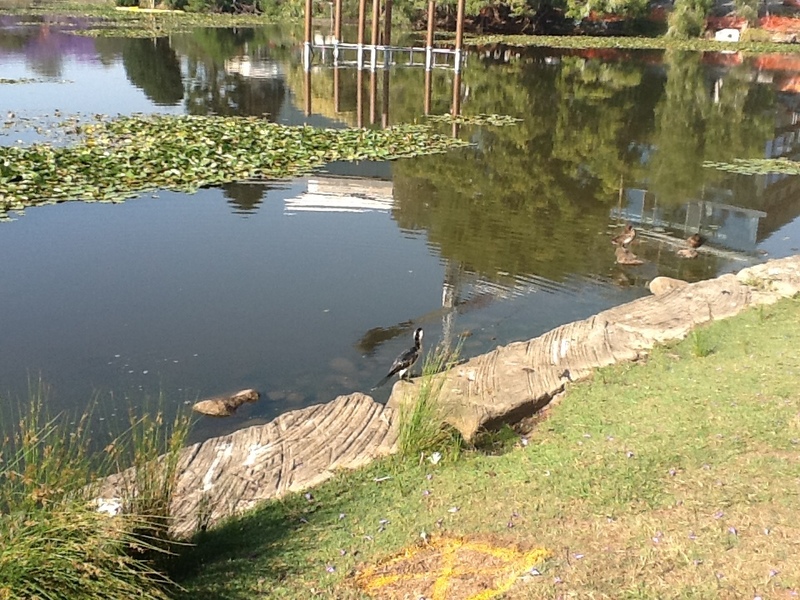 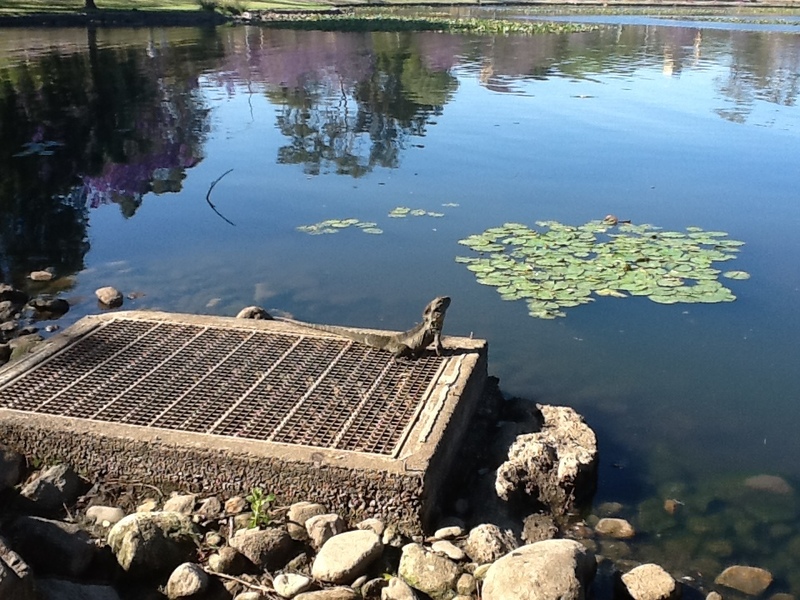 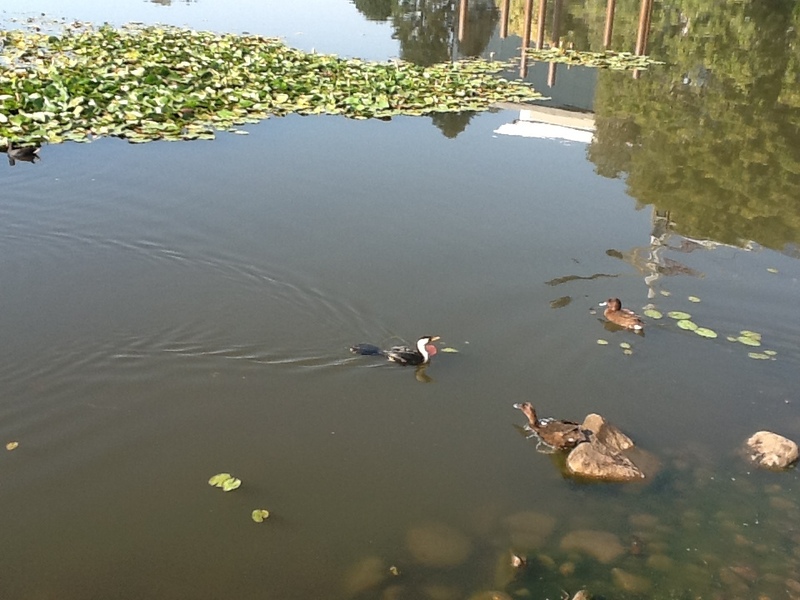 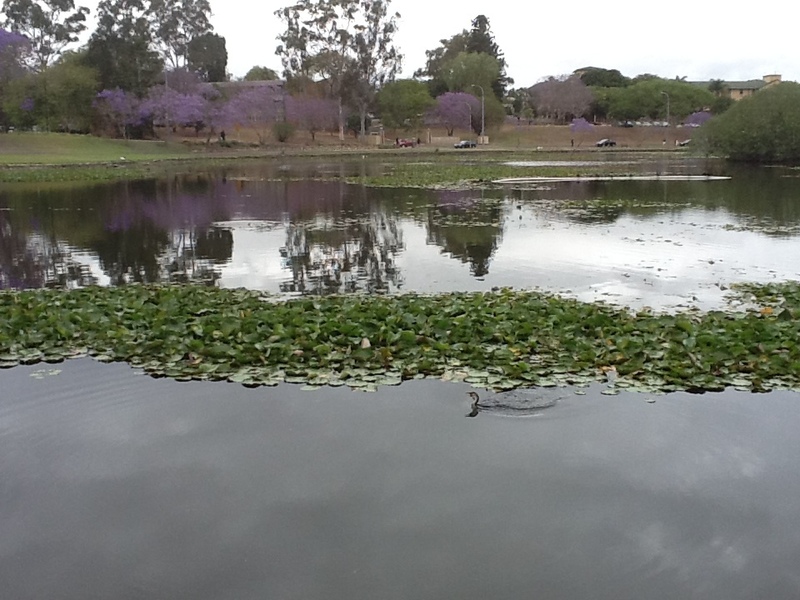 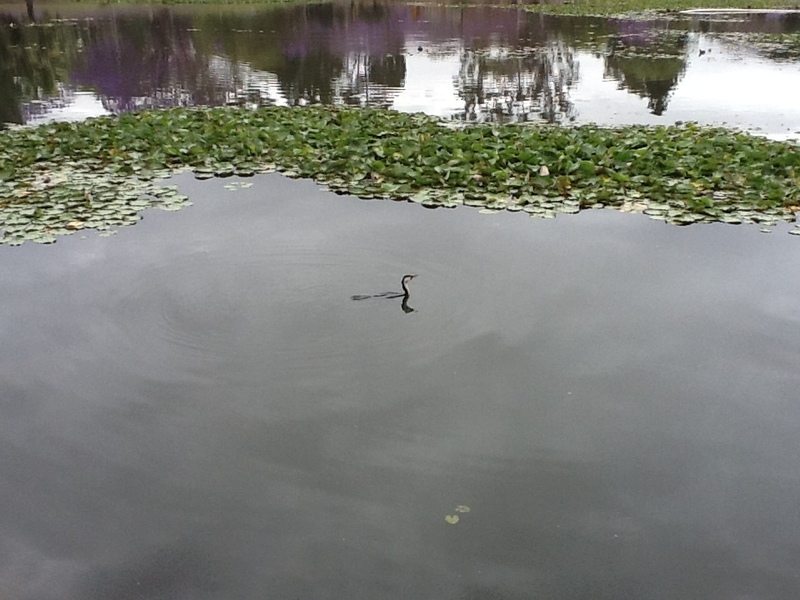 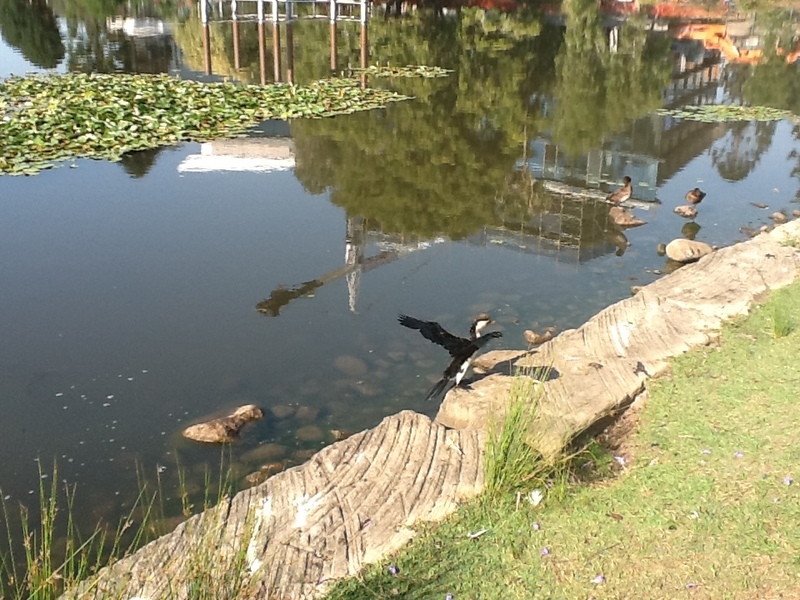 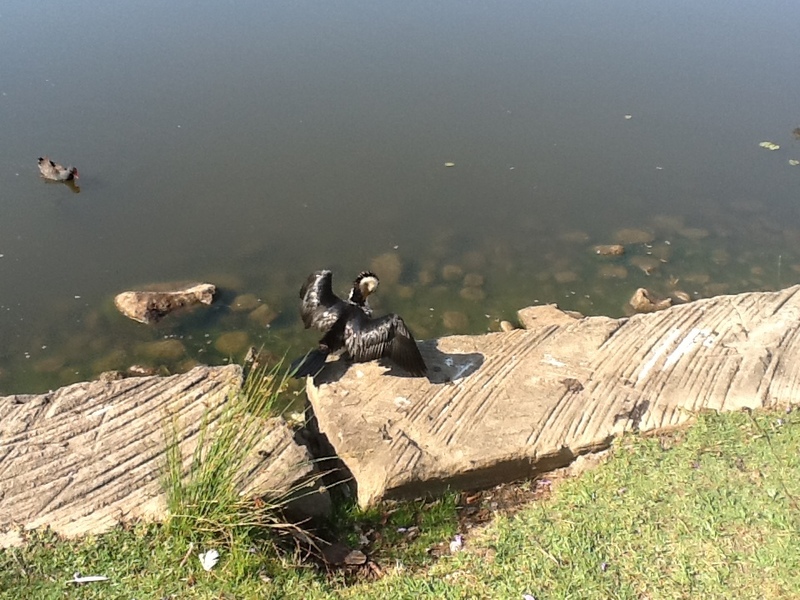 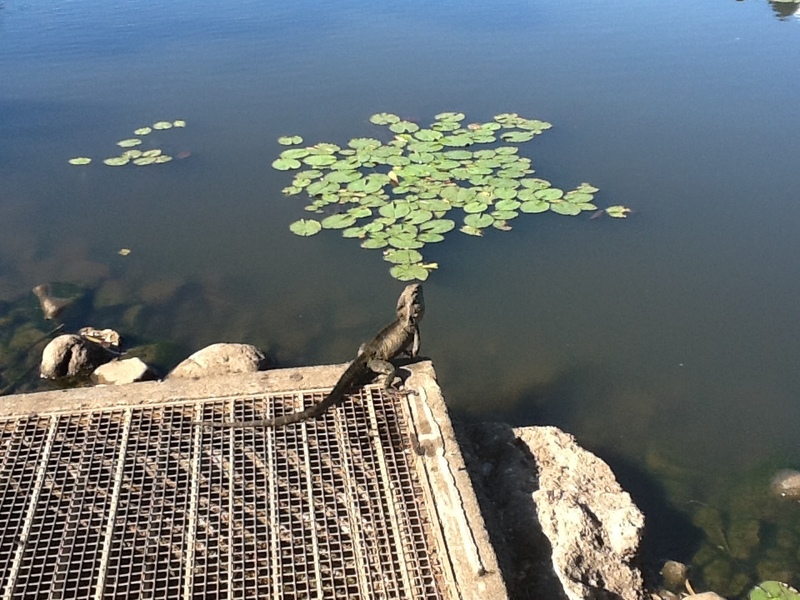 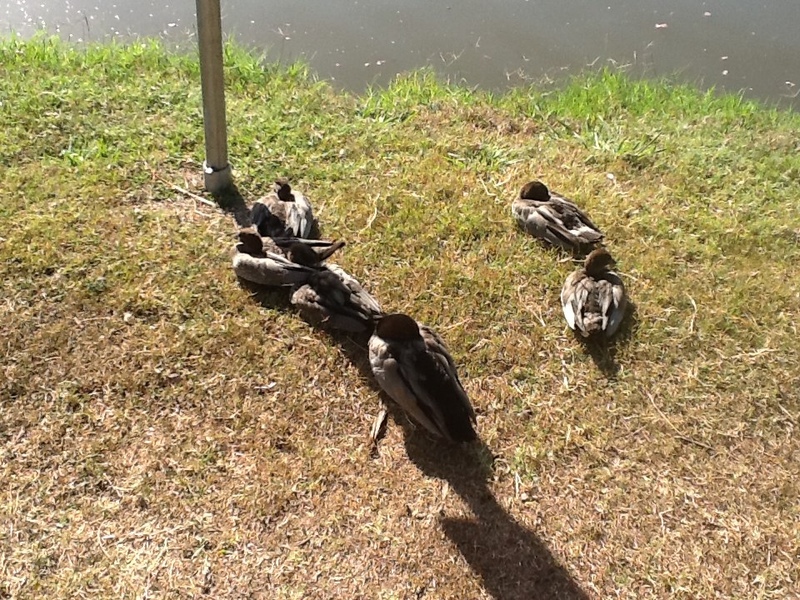 Some photos of the birds and ‘lizards’ – water dragons I observed yesterday and the day before on my daily walk past the lake. 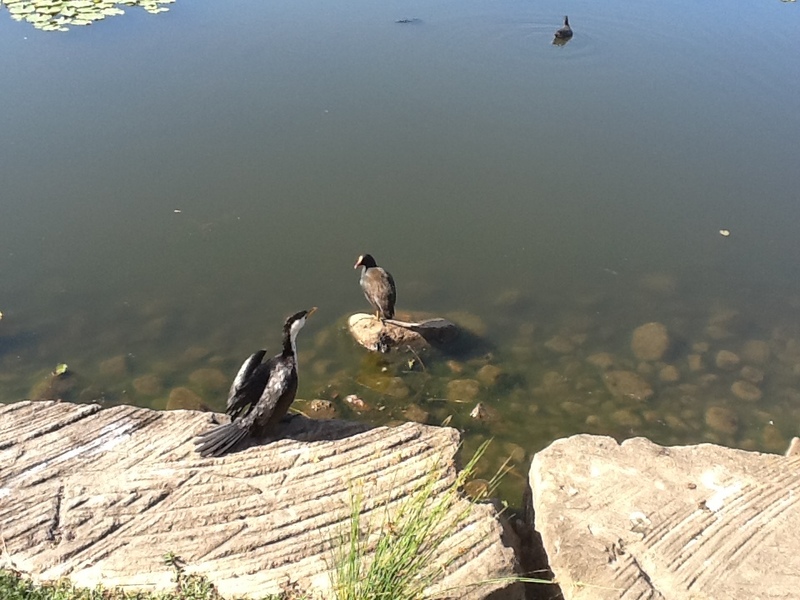 Black and White Cormorant, Moorhens, geese, ducks and Water Dragons.